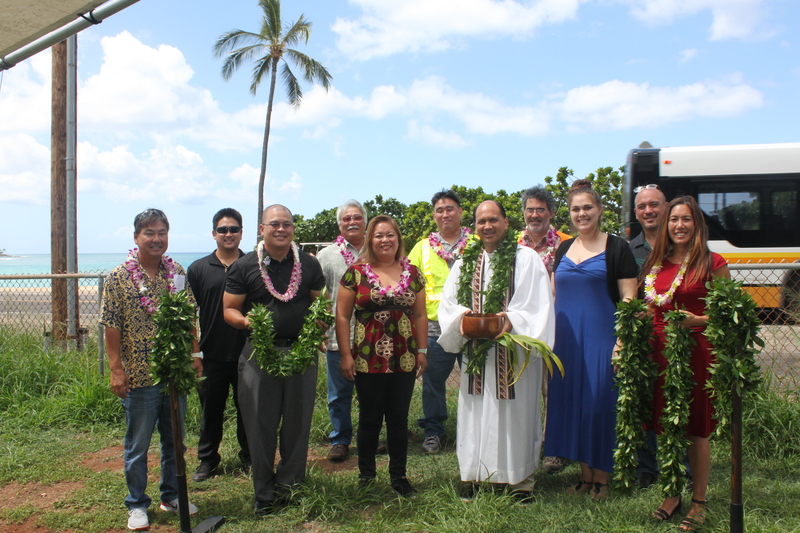 HONOLULU – The Hawaii Department of Transportation (HDOT) Highways Division announced the beginning of the Farrington Highway Resurfacing project today with a blessing ceremony in Makaha. 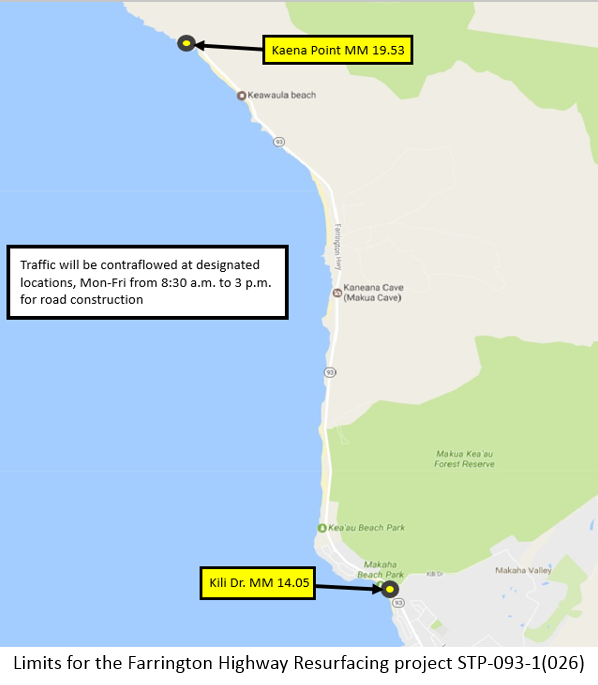 The resurfacing will take place on Farrington Highway between Kili Drive and Kaena Point. The $10.8 million project is funded with 80 percent federal and 20 percent state highways funds. 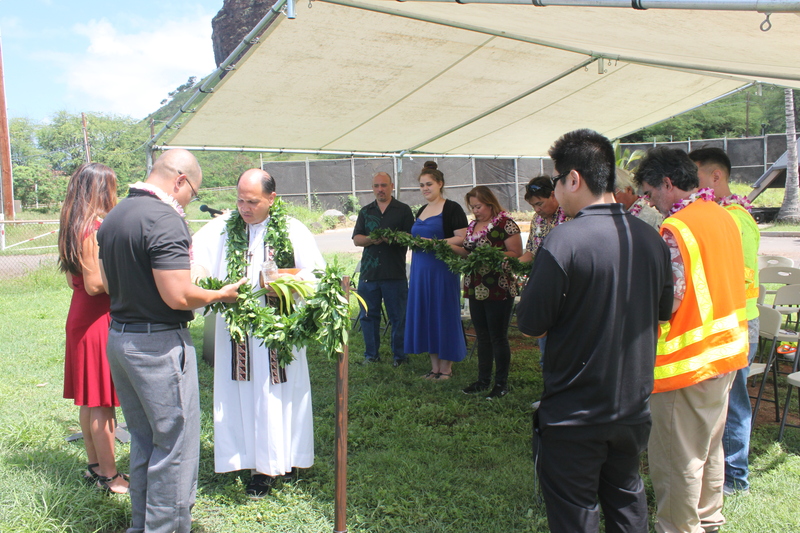 The project will include a resurfacing of approximately six miles of Farrington Highway with reconstruction of weakened pavement areas. The safety improvements include shoulder widening, utility adjustments, guardrail upgrades, and rumble strip, speed bump, pavement striping, sign, and bridge pedestrian railing installations. Crews will also landscape areas adjacent to the highway. Environmental measures have been taken to avoid and minimize impacts to the stream and downstream coastal waters. In accordance with the State Historic Preservation Division, an archeologist will be on site during ground disturbing activities as the highway construction corridor passes through several areas that may contain items of historic significance. Traffic will be contraflowed through the work zone on Monday through Friday from 8:30 a.m. to 3 p.m. Lane closures are expected to begin by the end of May, and the project is anticipated to be complete by the end of 2017, weather permitting. Link to graphic showing area to be resurfaced. Links to photos from today’s blessing.